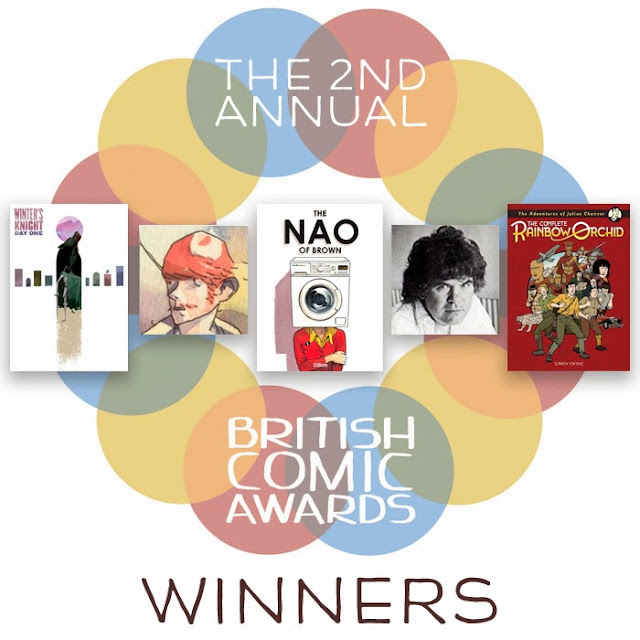 I'm going to write a Thought Bubble report eventually, somewhere (probably over at TCJ), but in the meantime, I'm just going to very briefly talk about the British Comic Awards (I'll expand slightly in the report). 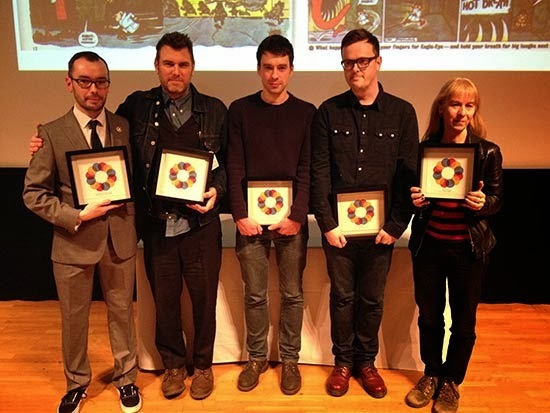 The second annual British Comic Awards took place on Saturday evening in the Royal Armouries Bury Theater, after the con floor closed, with the winner of the Young People's Comic award announced on the Friday. That award is voted by children from participating schools, so I was really pleased to see Garen Ewing win with his book The Complete Rainbow Orchid. Orchid is a brilliant adventure story in the classic ligne claire tradition, and it's satisfying to know that kids still appreciate that style and good, solid narrative- which is not to say that the other nominees weren't excellent also, but I have to admit it's triumph took me by surprise in a good way. A special mention for David Monteith, who hosted the awards this year and was a fantastic host: engaging, punchy and funny. Below is a full list of nominees, with winners in bold. Congratulations to all involved.